The word ‘superfood’ basically means a food that is ‘super’ compared to other foods and highly concentrated with the live nutrients and enzymes that your body requires for energy, disease prevention, and detoxification. By choosing the best green superfood powders for your needs you will not only ensure you keep your body firing on all cylinders, but you will also have the energy and vitality to live your best life possible; and we all want that right? One of the most amazing green superfood powder benefit’s is its ability to help slow down the aging process. And I’m not just talking about more youthful skin on the outside, but more crucially anti aging on the inside. Green super food’s and a high antioxidant diet will help mop up all that nasty free radical damage caused by everyday life through environmental pollution, sun rays, tobacco, alcohol, chemicals in food, sugar, trans fats, exhaust fumes, fertilizers, and pesticides. Make sure you are getting enough antioxidants! The problem is, it’s not always possible to get enough antioxidants into your diet to negate the damage done by this toxic assault, and sometimes our fresh foods can be under par in the nutrient stakes due to over farming, heat treatment from cooking, and pesticide, insecticide and fertiliser use. It’s always good to be doubly sure you are getting a good high dose of antioxidants every day by taking a ‘whole food’ supplement (this is especially important if you’re not getting at least 7-10 portions of fresh fruit and vegetables a day). A great way to boost this up is with a raw, green super food powder, such as chlorella, spirulina, wheatgrass, barley grass, and other chlorophyll rich seaweeds and algaes such as those on this list below. DETOXIFICATION – Green superfoods are known detoxifiers, and may help rid the body of all sorts of toxins and heavy metals that it may have a hard time eliminating. Toxic overload can eventually lead to illness and other problems if not kept in check. ANTI INFLAMMATORY – Being highly alkaline and full of phytochemicals, green superfoods may help alleviate chronic inflammation. BLOOD PRESSURE – Superfood powder may help lower blood pressure when taken alongside a low fat diet. CAN HELP LOWER BAD CHOLESTEROL – Antioxidants and phytochemicals help hormones, cells, and nerves to help lower cholesterol. IMMUNITY – Green superfood powders can help to neutralise the free radicals that damage your cells and compromise your immune system. GREAT FOR THE KIDS – Some green powders, such as wheat and barley grass, taste pretty mild and are just choc full of awesome health benefits, making them a super nutrient bomb for kids. ENERGY, ENERGY, AND MORE ENERGY! Which superfood should I choose? There are just so many superfood powders on the market right now that it can sure get a little confusing. We are all at information overload, but one thing you must be sure to do is always go for quality products that are ethically sourced and grown in nutrient rich soil; or if they are a seaweed or algae then they should come from uncontaminated water. Always look for USDA or equivalent approved products to be sure that they meet high requirements and standards. Buying an inferior product is not cost effective in the long term as it just won’t have the same nutrient content and you won’t get the results you’re looking for. A High Quality Superfood will give you a Noticeable Boost! Good quality superfood will give you a lift and a boost that you can physically feel – and sometimes within 20 minutes of taking it. I knock back a shot of high quality green superfood every day and my skin is always glowing noticeably… I mean, people mention it! It’s a good idea to either rotate, or alternate, your superfood powders as they all have different nutritional profiles and it’s good to keep things varied. Either do that, or buy a blend, which are great as they often come with other enzymes and nutrients to help aid nutrient absorption. To boost absorption even further take your superfoods either after a meal, or with a little fat; maybe a handful of nuts or seeds. The reason being, some nutrients in your greens are fat soluble therefore a little fat will help them become more bio-available in the body. I take mine with a spoonful of my homemade turmeric paste (which is an anti inflammatory spice) and contains a mix of turmeric, black pepper, coconut oil, and olive oil. Taking these two together is a nutrient bomb that really helps to keep bugs and viruses at bay; it’s a powerful combinations that has helped keep me well, especially during the winter months. The fact that we now have access to the most nutrient dense foods on the planet gets me slightly more exited than it probably should, but I just can’t help myself! I really do think it needs to be appreciated just what these foods can do for us in terms of boosting health and longevity. The availability of these foods means we are able test the boundaries of how far we can take our health to see just how good our bodies and minds are really capable of feeling… so yes, very exciting times! Of course, to have all these wonderful benefits, you do need to make sure you’re consuming a healthy diet AND living a healthy lifestyle alongside your superfood. Good health isn’t achieved by just one thing, rather a combination of good food, exercise, and keeping stress levels to a minimum. Below is a list of the best green super food powders on the market today. I say this with confidence because I’m a super food addict and have spent time sourcing out, trying, and testing many of them for myself. Everything on this list is of the highest quality and ethically sourced. The only reason some of these products don’t have a 5 STAR rating is purely because some customers are judging on taste rather than quality. When it comes to green superfoods then yes, some are probably not going to taste great, but that’s just the nature of the beast; they are however all extremely high quality. RECOVERY: If you are recovering from an illness or operation then you may want to go for a blend rather than a single powder as they will give you a broader spectrum of nutrients. Also, look out for immune boosting properties (although ALL of these high quality powders on this list will contain these). EXTRA PROTEIN: If you are sick, you may also need extra protein or meal replacements along with superfood. You can get all your greens and protein in the one powder, and if you think this is something you would be better with then please visit this page instead ‘The Best Superfood Protein Powders‘. TASTE: If you don’t like the strong tastes which tend to be prevalent in most superfood powders then look out for the seaweeds and algaes in products as these are the worst tasting offenders. You could always try to disguise the taste in a juice; or down it quickly in a shot. PRICE: If superfood is something you are going to be using long term (and I highly recommend that you do), then you will want to take price into consideration. Generally you get what you pay for with these products, but the single powders at the bottom half of this list are often cheaper; or you could always buy a couple of the singles in bulk and alternate with them. However, the blends do have other added goodies such as probiotics and enzymes which make them well worth the investment. DO YOUR HOMEWORK: If you really want to tailor a powder to your needs, then be sure to read carefully the bullet point lists about the best features of each product and see which best applies to you, but as they are all fantastic and natural food products most of them are good for everybody and anybody. Also, make sure you buy science based green powders which I have already done for you in the list below. I’ve started this list with one of the best organic greens powder available on the market, and here’s why I say this: I have personally been using (and so have other members of my family) Dr. Schulzes superfood plus for a couple of years and I always go back to it time and time again, especially when I need a pick-me-up. If you come over weary and tired in the afternoon a shot of this green beauty perks you up within 20 minutes, no matter how bad you’re feeling. You can even take this superfood before an occasion where you want to look your best, because it makes your skin noticeably glow and puts a sparkle in your eyes. As I use this powder all the time I know that it really is capable of doing this, and it will give you the kind of beauty that can really only come from an inside job; especially if you use it regularly. But that’s just aesthetics; let’s get to the other truly astounding benefits of this antioxidant rich food. It is a blend of 10 nutrient rich superfoods, and the one I love the most that is not in any other of these other blends is the purple dulse seaweed. Seaweed’s are great at balancing hormones; and the B-vitamins in this product make it a great one for women who suffer PMS or have menopausal symptoms. Also great for anybody wanting to ensure long term good health and immunity – that’ll be all of us then! Looking through the long list of customer reviews on Amazon about this product has backed up my own findings about just how awesome a powder it is. Reviews such as “outstanding product'”, “this product will save your life'”, ” I have NO more joint pain now I’m taking this superfood”, “I have more lustrous hair”, and “noticeable difference in energy and vitality'” were just some of the positive comments I found. It must be stressed that the ONLY reason this green superfood has 4 and not 5 stars, that I can see anyway, is because of its taste. Something this healthy and with nothing artificial added is never going to taste great, therefore you should either mix it into a smoothie, or chug it fast with some juice. Whatever you need to do, just get it down you as the results are so worth it. This is purely about nutrition – nothing else; and it doesn’t actually taste that bad as you quickly get used to it. ANTI-AGING – Choc full of powerful antioxidants, you can physically see and feel the effects within 20 minutes. Those amazing antioxidants also help fight the aging process on both the inside and out. ANTIOXIDANTS AND PHYTONUTRIENTS – All of these help to lower blood pressure, lower inflammation, decrease LDL cholesterol, and protects cells from free-radical damage. FASTER RCOVERY FROM ILLNESS AND OPERATIONS – Not for nothing is this called a SUPERFOOD! It is just loaded with immune boosting, life-giving, raw nutrition, specially processed in a way to give it high bio-availability in the body. HIGH B-VITS – This green superfood powder is very high in the energy producing B vitamins that are crucial to the proper functioning of the central nervous system. Especially good for women who suffer PMS, menopausal symptoms, thyroid disease, or any kind of hormonal issues. IMMUNE BOOSTER – Contains all the nutrients needed for strong immunity. DIABETICS- Helps with glycogen metabolism to help keep blood sugar at a normal level. WEIGHT LOSS – Such an intense shot of low GI nutrition will help stop your body from craving sugary snacks. FATIGUE – As mentioned earlier – this powder gives you a boost within 20 minutes. Amazing Grass organic green superfood uses only the highest quality and premium ingredients that it is possible to source, and is the reason I love this company SO much. You know that whenever you are using their products you are doing something truly amazing for your body, it’s that simple. All Amazing Grass products are sourced naturally from either the earth, sea, or fresh waters, and are some of the finest, healthful foods that mother nature has to offer. What is also great about this green powder is the fact that each and every serving contains 25 billion live bacteria for a gut friendly hit of probiotics. These super greens powder review’s are mainly about great taste and texture, but also about it “being helpful for sleep and stomach problems due to its probiotics”, “tastes great with pineapple juice”, “noticeably improved energy”, “works best when taken 2-3 times daily”, and “a great way to kick a bug or illness to the curb fast”. HERBAL SUPPORT – This powder also contains a blend of maca, ginger, burdock root, dandelion, cayenne, and aloe vera to really boost your detoxification process, support your liver, and aid proper digestion. IMPRESSIVE NUTRITIONAL PROFILE – The greens in this product are a mix of the most powerful and nutrient dense antioxidants available such as spirulina, chlorella, barley grass, alfalfa, wheat grasses, nettle, kale, kelp, bladderwrack, rockweed, sea lettuce, dulse, and alaria. Seriously, what a nutritional punch! If you want to boost your health into the stratosphere then you should be knocking back a shot of this life giving juice every day. 25 BILLION E3LIVE PROBIOTICS – to help stimulate the microflora in your gut and support immune health. DIGESTIVE ENZYMES – Added digestive enzymes will aid in the absorption of all those wonderful nutrients and also help the digestion process along its way. WEIGHT LOSS – The added fiber in this awesome super food will help keep you full, your blood sugar stable, and stop those dreaded cravings. A shot of this powder during the mid-afternoon slump will have you firing on all cylinders in no time. ANTI AGING – The high levels of antioxidants from so many different sources literally covers ALL bases, making it a powerful detoxifyer that will help mop up those nasty, aging free radicals along the way. 2.5 SERVINGS OF RAW GREENS PER 1 SERVING. This perfect superfood has 6X MORE concentrated nutrients than other whole leaf grass powder supplements, making it a truly powerful antioxidant. This superfood supplement can really help to eliminate those deep seated toxins from your body. ‘Garden of Life’ are certified organic farmers from the US, and all of their produce is sustainably grown, which of course, should always be a must these days. The product in itself should probably have a 5 star rating due to its sheer quality; but some have said it is too expensive and the price has gone up recently which I think has dropped it to 4 stars. Having said that, Garden of Life products offer some of the best available superfoods and you have to pay for that, but you do feel the difference in how well high quality products work because they are usually more concentrated. 100% RAW INGREDIENTS – The main green juices in this product are barley grass, wheat grass, alfalfa grass, oat grass, and kamut grass. It also contains after that, a long list of other fruits and vegetables including apple, beets, broccoli, carrot, tomato, spinach, kale, pineapple, strawberry, and cherry. SPROUTS – Sprouted flax, quinoa, amaranth, buckwheat, beans, lentils, and seeds all produce enzymes that aid digestion and absorption. DETOXIFICATION – The powerful concentration of raw greens in this product can help boost your body’s detoxification systems. IMMUNITY – The high nutrient content of these raw greens and fruits are like taking a natural multivitamin, and may help boost your immune system. WEIGHT LOSS – Raw greens can help with blood sugar control, so good for diabetics and those who would like to boost their metabolism into fat burning mode. This Garden of Life product is SPECIFICALLY designed to give you energy, and contains a blend of all the best known energy promoting foods. Its high concentration of nutrients gives you that instant ‘hit’ you are craving when you feel tired and run down. It would also be great for giving you that boost of energy you need before a workout or training session. This particular powder has a unique blend of ingredients such as cordyceps mushroom, maca, baobab, and yerba mate. It really has the wow factor! It’s not for no reason that this product has 5 star reviews. Garden of life are a long trusted brand that always deliver on quality, and with the organic raw superfoods in this green powder it’s easy to see they have yet again delivered on all fronts. Reviewers of this product say that it gives them “immediate energy”, “is soothing on the stomach, even for those with severe gut problems“, and “mixes easily with juices or smoothies”. NUTRIENT DENSE – and like a liquid multivitamin, due to its vast array of raw fruits, vegetables, and sprouts. Its unique energy blend comprises of organic baobab, pomegranate, yerba mate extract, maca root cordyceps (mycelium). Its antioxidant blend comprises of organic parsley, amla cherry, strawberry, beetroot, broccoli, tomato, blackberry, blueberry, kale, cabbage, Brussels sprout AND MORE…(you will find a full list of ingredients in this product if you click the link below). SPROUTS – Sprouted flax seed, quinoa, amaranth, buckwheat, millet, chia seed, beans, and seeds, produce digestive enzymes to aid absorption and digestion. PROBIOTICS – 1.5 billion probiotic’s make this powder gentle on the stomach and easily digestible. GUAYAKI YERBA MATE – Specific for energy, focusing, and learning. PERUVIAN MACA – For both energy production and can help to balance out the hormonal system. CORDYCEPS MUSHROOM – Has been used for centuries to obtain energy, some say all day long! POMEGRANATE – Used by athletes for energy production. AFRICAN BAOBAB – is high in magnesium, which plays a role in energy production on a cellular level. WEIGHT MANAGEMENT – This is a great low GI snack between meals, and especially great with a handful of nuts or seeds, as fat aids the absorption of the fat soluble nutrients. BLOOD SUGAR CONTROL – Great for diabetics as it will help even out blood sugars. ANTIOXIDANTS – This green superfood’s super high antioxidant content will boost the immune system, scavenge free radicals, and ultimately help slow down the aging process. DETOXIFICATION – This stuff may help detoxify your system as some of the green powders in this product are known heavy metal detoxifiers. (Sorry, this one doesn’t seem to be available in the UK). Here’s one for the boys! OK, I say this lightly as anybody can use it, but this is a BULKY powder, so much so that I would say it could almost be used as a meal replacement, or at least a substantial snack. This green superfood blend is certainly different to all the others I’ve reviewed in the respect that it has some more unusual ingredients in the form of herbs and adaptogens that can help to promote homeostatis. In fact,the health promoting ingredients in this awesome product are truly exiting and take it to a whole new level of green powder goodness. I love the fact that they have kept this product simple yet powerful, as every ingredient comes in a high enough dose to be clinically effective based on scientific research. It is advised on the packaging to be taken first thing in the morning to really kick start your energy levels for the day, and I can see how this would most certainly be the case being as its main ingredients are energy boosting spirulina, moringa, maca, and spinach. Considering it’s energy boosting properties, just imagine how fantastic it would also be as a pre-workout shake. Just be careful not to take it too late in the day if you want a god nights sleep. BOOSTS LIBIDO – Maca root is a known libido booster, especially for men, and probably why this product packaging seems to be more aimed at the guys. However, maca is good for women too, so don’t be put off by this powder because of that. BOOSTS IMMUNITY – One of the main features of this green powder superstar is its immunity enhancing properties. Reishi mushroom, spirulina, and astralagus to be precise, which are all known immune boosters. HELPS CARDIOVASCULAR HEALTH – the greens and antioxidants in this product will help lower bad cholesterol levels. CONTAINS ADAPTOGENS – astralagus and maca root are adaptogens that help keep the body in a state of homeostasis, or balance as they say in Chinese medicine. BOOSTS MOOD AND GENERAL WELL-BEING – Maca root is a mood booster. CONTAINS DANDELION LEAF – A plant with SO many benefits it’s hard to know where to start, but dandelion leaf is a known detoxifier which may liver function especially, and can be a powerful antioxidant, anti-diabetes, digestive aid, may help lower blood pressure, may lower bad cholesterol, is anti-inflammatory, and an immune booster. However, I’m not sure if the dose of dandelion leaf in this product would be at a high enough level to really have a huge effect for those particular benefits. AIDS WEIGHT LOSS – Great as a snack that will help keep blood sugar stable and snacking to a minimum. This extra large tub of greens will last you 2 months if you have the full recommended serving size (sometimes you may find you won’t need this amount to get the benefits, and so it will more than likely last longer). It has been packed full with 45 of the finest quality phytonutrient dense green superfoods, and actually boasts at having a higher concentration than other green superfood brands. It also has 10 different freeze dried probiotic strains to help your gut flora, and to help eliminate bloating, gas, and similar IBS related issues. The relevance of freeze dried means that the integrity of the probiotic remains in tact even after exposure to air, and will only be activated by exposure to moisture, i.e. when you put it in your smoothie or juice. This product rightfully has a lot a rave reviews due to it being such an intense hit of nutrients, and it stands to reason that your body will react positively to them. Reviewers had more energy ALL DAY LONG, and less, or no afternoon slumps or sleepiness. Also a great one for the weight watchers as this powder will help you eat less if taken before a meal due to your body being already satisfied with the nutrients. It does however taste pretty strong and grassy; but in the green powder world this is often a good thing because it shows purity and concentration and a lack of fillers and other taste masking artificial sugars and flavours. It’s not meant to be a treat, and if you really don’t like it just chug it down quickly with some juice or water – just remember it’s a treat for your body and that is what really counts! 200% OF YOUR RDA OF VITAMIN A – Which may be great for bone health, immunity, skin health, vision, and cognitive function. PROTEIN AND MINERAL BLEND – Contains the detoxifying algae’s spirulina, chlorella, and kelp. FERMENTED FOODS – Contains fermented barley, oat, wheat, and alfalfa grasses, all of which are potent in the enzymes that can promote healthy gut flora, digestion, and aid the absorption of its other vitamins and minerals. SPROUTS – of millet, amaranth, quinoa, buckwheat, lentils, aduki beans; plus chia, pumpkin, sesame, and sunflower seeds for more raw activated enzymes. VEGETABLE JUICE BLEND – Full of anti aging antioxidant rich vegetables such as alfalfa, broccoli, carrot, beetroot, parsley, kale, and many more (click link below for a full list). WEIGHT LOSS – its super high nutrient content helps to stop food cravings as the body is getting everything it needs already. Amazing Grass are one of my all time favorite brands. They are a family run business from a small farm in Kansas, and they truly care about their products environmental and health benefits. Their nutrient rich greens are totally natural and organic and offer a whole array of health benefits. Most impressively, these greens are highly nutrient dense and actually contain 100% of your RDA of vitamin K which is a vital nutrient in the synthesis of protein and blood clotting. The most rave reviews about this product are improved sleep, energy, and brighter, glowing skin. Add wheat grass to your favorite smoothie or juice; or simply drink straight up in a shot with water. As vitamin K is fat soluble it would be helpful to have some fats already in your stomach from a previous meal (or take a handful of nuts or seeds with it) to up the absorption of the K. Doing this will also have the added bonus of making it a more substantial energy boosting snack. BOOSTS THE IMMUNE SYSTEM – due to its high levels of vitamins and minerals. IS COMPLETELY RAW – Raw foods have not been heat treated, so therefore have all their wonderful nutrients and live enzymes fully in tact. DETOXIFIES – Green super foods are known for helping to remove toxins from the body, especially heavy metals. HELPS DIGESTION – Good to take after or before a meal to help with the digestive process. IS HIGHLY ALKALINISING – Lowering chronic inflammation in the body will aid your health in general. Barley grass has very high levels of the powerful antioxidant SOD (superoxide dismutase). In fact, it is known to have the highest natural levels of this and is the reason why it is one of the healthiest of all the green superfoods. These antioxidants will help protect your cells from free radical damage and are highly anti aging, making this it something worth investing in. It also contains very high amounts of nutrients, and just one serving contains a whopping 200% of your daily requirements of iron, making it superb for those at risk of anemia. 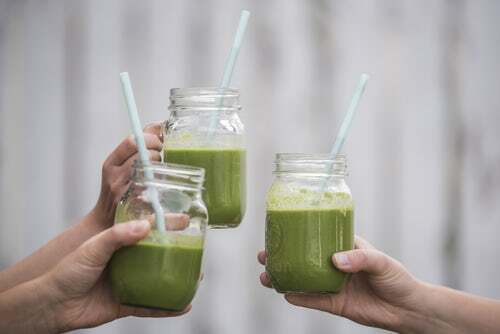 Barley grass is mild tasting, and can be added to smoothies, breakfast cereals, and into recipes and cooking (although heat treatment may destroy some of the benefits); or it can simply be taken as a long drink in juice or water or taken as a shot. You can either take 1 x tablespoon at a time, or 1/2 a tablespoon 2 x daily. Most customers are very happy with this product and say they can feel the difference in their energy levels after taking it. It also mixes well into smoothies, but best for blended smoothies. It also tastes like ‘real’ barley grass juice, which is a good sign as it means it must of been freeze dried whilst still really fresh to hold in all that nutrition. IMMUNITY – Seriously high amounts of nutrients mean this powder is great for boosting your immune system, thus helping you to stave off disease and sickness. HIGH IN CHLOROPHYLL – A powerful antioxidant that fights free radical damage in the body. MAY IMPROVE INSULIN RESISTANCE – Due to its intense nutrient content and low GI value, barley grass is great for diabetics too. WEIGHT LOSS AID – Due to its high fiber content AND low GI rating, this powder helps keep blood sugar stable; and stable blood sugar means less cravings for junk foods. HIGH IN OXYGEN – which helps to support cell regeneration. CAN HELP REPAIRS DNA DAMAGE – Due to it being high in oxygen and nutrients, barley grass can play a role in anti aging not only on the inside, but on the skin itself. HELPS PROTECTS SKIN FROM DAMAGE – May help repair and prevent the damage done to skin from outside causes, such as exhaust fumes, fog, UV rays, and extreme cold. POSSIBLE PREVENTION OF CERTAIN CANCERS – Barley grass’s high levels of the antioxidant SOD can make it excellent for helping to fight cancer, and maybe to some extent cancer prevention. ASTHMA – Barley grass’s antioxidants vitamin C and E can help to control and normalise (but not cure) your breathing patterns. REDUCES BAD CHOLESTEROL – Making this a wonderful green super food for cardiovascular health. HELPS PREVENT OSTEOPOROSIS – Great for bone health due to high levels of phosphorus, calcium, and copper. GREAT FOR KIDS – Barley grass is a great supplement to give to your children; not just for ALL the reasons above, but because it is mild tasting, so therefore child friendly. Plus, the high levels of calcium (a whopping 11 times MORE than milk) make it fantastic for kiddies bones. This wild grown blue-green algae flourishes of its own accord in the perfect environment of the upper Klamath Lake located in Oregon USA. It was used regularly by the ancient Aztecs for power and energy, and is now used worldwide today for the same reasons. One of the most purest and nutritionally ‘complete’ organic foods known to man, this superfood is perfectly balanced by mother nature and has a unique microscopic soft cell which allows this wonderfully healthful product to be easily digested and absorbed into the body. Use half a teaspoon of this powder daily to feel the benefits; add to either smoothies, juices, or plain water, and preferably after a meal so the fats and other nutrients from your food help to aid digestion and absorption. Caution: do not use in the evening as it is stimulating and may affect sleep – probably best after breakfast or lunch! ANTI-CANCER – Although more studies need to be done, many types of algae may have the the power to slow the growth of cancer cells. CARDIOVASCULAR HEALTH – Blue-green algae can help to improve blood lipid profiles and lower bad cholesterol levels. ANTI-INFLAMMATORY – Due to its high alkalinity, algae can help to lower chronic inflammation in the body, which in turn may help lower your chances of inflammatory diseases. They would need to be taken long term for these benefits though. NON-ALCOHOLIC FATTY LIVER DISORDER – As well as helping prevent heart disease, algae may also help treat non-alcoholic fatty liver disorder due to its GLA (gamma linolenic acid), plant sterols, and phycocyanin. ENERGY – Can improve energy levels vastly, making it a great supplement for sports people or those in a training program. This I can personally vouch for a s I often boost my energy pre-workout with green superfoods. They can also reduce recovery times due to their anti inflammatory abilities. ANTIOXIDANT – All green algae are high in the antioxidant chlorophyll, which in itself has a whole array of its own potential benefits such as wound healing, improving digestion, weight control, blood building, and it may also have anti cancer abilities. DETOXIFICATION – probably one of the things algae are most famous for are their detoxification abilities – keeping the body detoxifying efficiently is the absolute CORNERSTONE of good health. Moringa is an antioxidant rich plant native to North India, and has been used for thousands of years to offer high value nutrition to the native people. High in calcium, iron, and fiber, this green leaf offers more nutrition than kale; and if you like the taste it is truly versatile and can be added to many savory or sweet dishes such as soups, stews, oatmeal, and smoothies. If you don’t like the taste you can simply shoot it in a little water and reap the same benefits. Reviewers of this product commented on having more energy, the affordability, great slimming aid, tastes fine, perfect as described, and many more good comments. ANTIOXIDANT – Moringa leaf is especially high in quercetin, which can help lower pressure; plus chlorogenic acid that can help keep blood sugar stable after a meal. This makes it an excellent choice for diabetics. ANTI-INFLAMMATORY – Moringa contains high levels of isothiocyanates, which are anti-inflammatory compounds. Keeping chronic inflammation to a minimum may be help in the protection against inflammatory diseases such as heart disease, arthritis, some cancers, asthma, and cognitive decline. CARDIOVASCULAR HEALTH – Can have similar cholesterol lowering effects as flax, oats, and raw almonds. GREAT POST WORKOUT/RECOVERY – A moringa smoothie post workout will help lower the inflammation associated with aching muscles and joints after a hard workout or exercise session. DETOXIFICATION – High levels of antioxidants and chlorophyll really help to keep your detoxification organs firing on all cylinders. WEIGHT LOSS – High fiber foods like moringa will fill you up and help keep your blood sugar more stable; meaning you will be less likely to crave carbs and snack in-between meals. ANEMIA – Moringa is high in bio-available iron, which means it will be helpful to those with low iron levels, or those at risk of low iron levels. BETTER QUALITY BREAST MILK – Studies have shown moringa powder to increase breast milk production; and its beta-carotene content (which converts to vitamin A in the body) makes the breast milk highly nutritious for babies. GUT HEALTH – Moringa stimulates beneficial bacteria in your gut, which is good for IBS sufferers. COMPLETE PROTEIN – Moringa contains ALL the essential amino acids, so a good supplements on a plant based or vegan diet. As an algae that grows naturally on lakes, this organic spirulina is purely environmentally friendly, and interestingly, gram for gram, is the most nutrient dense single food on the planet. It’s nutritional profile is pretty mind blowing stuff, as it contains high protein alongside iron, copper, B-vits, phytonutrients, chlorophyll, antioxidants; and also a good array of those vital for health omega 3,6, and 9 fatty acids. Another exiting little titbit of info I found whilst scouring the reviews on this product, was the fact that quite a few customers have commented on how satiating this particular spirulina is. Apparently it fills you up and keeps you going for hours (especially when added to a smoothie); all this at only 40 calories a serving! I have ordered this myself to test it so watch this space. Reviews of this product were: higher energy levels, better quality of sleep, stronger nails, clearer skin, disappearance of acne, and feeling much more alert than usual. WEIGHT LOSS – As stated above, many reviewers commented on how satiating this product is. NUTRIENT DENSE – Choc full of nutrients; particularly vitamin A and vitamin B12. ANTIOXIDANT AND ANTI-INFLAMMATORY – It’s spirulina’s main antioxidant compound phycocyanin that gives it its intense blue-green colour, and is responsible for neutralising free radicals in your body before they can do damage. PROTECTS CHOLESTEROL FROM OXIDATION – One of the main driving factors of heart disease is lipoproteins in the blood being oxidised, but spirulina may be effective at reducing this occurrence. POTENTIALLY ANTI-CANCER – May contains certain anti cancer properties for certain types of cancer. BLOOD PRESSURE – May help to lower blood pressure, which is a major driver of many deadly diseases. IMPROVES ALLERGIC RHINITIS – Studies have shown that spirulina can help reduce symptoms such as sneezing, itching, and nasal congestion. DETOXIFICATION – One of the main reason spirulina is used in natural therapies is to help with the detoxification of heavy metals and other toxins in the body. If you have known heavy metal toxicity then never try to detoxify from this yourself as you will need the guidance of a specialist. CAN CLEAR UP ACNE – According to some reviewers, spirulina really helped clear up their skin problems. TO CONCLUDE: Would you like to know more about the power of plants and just how much a plant based diet can transform your life? You will find it a whole lot easier than you may think, especially now that the vegan and plant based lifestyle has become more mainstream than ever. Discover how I did this myself to help heal my own body and mind in my post ‘Beginners Guide to Plant Based Eating‘. For more information about green super food powders and a more in-depth review on how they can help you, please check out this great YouTube video below. Thankyou for reading this review and visiting zestforever. If you have any questions about green superfood powders then I would be more than happy to help you out if you drop me a line in the thread below. Yeah, you sound like me, I always try and look for organic products. Lots of great info on your sites that should help so many people since you cover so much here. I have been using the green products for several years now and definitely continue using them in the future. I love best Dr. Schulze’s Green Superfood Plus. I would recommend this to anybody. Thank for sharing! Hey there, it’s great that you use superfood plus too! It’s awesome hey? And it’s good yo know that other people understand the benefits of getting enough greens into the diet. Lucky for us we have these powders available to us that make it quick and easy to get a hit of pure nutrients. Organic is for sure always best where possible as nobody wants their products tainted with chemicals, pesticides and other nasty things that just shouldn’t be there. 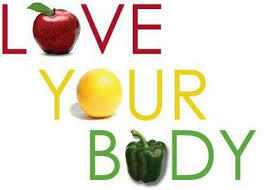 Thanks for your comment and I wish long and happy health to you…which is inevitable with the superfood! Hey what can I say your information is spot on. I love nature and healthy eating is right up my street. Thank you for such a very informative article. Hi Derek, thanks for reading, and I’m glad you found the article informative. Healthy eating really should be a part of everybody’s lives and I hope this post gives people the knowledge they need to start that journey. Nice article, love all of the information on the different supplements. 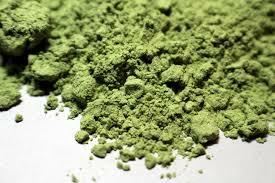 I am currently using Moringa powder, It is amazing and I feel great when I use it. The flavour is like a bitter green tea, so I try to camouflage the flavour with a fruit smoothie. Hi Linsey, that’s great you use moringa powder, it’s good stuff isn’t it? Really gives you a boost of energy! Thanks for the tip om how to make it more palatable as this can be a problem for many green superfoods unfortunately. I just get them down me any way I can because the benefits really are worth it. Really great information in this post. I love green superfood powders as they just give you a zing of energy, plus I have found my sleep patterns have vastly improved. I’m testing a few of these out and am on spirulina at the moment. It’s so brightly colored you can literally see the chlorophyll in it so you just know it’s good for you. Hi Sam, yes improved sleep was one of the big things I noticed when I started on the superfood powders. I don’t know how it works but I just know that it does! I often take spirulina powder, or at least I alternate with it. I think the secret is to keep things varied and not take the same thing all the time; as you can see form the list above, they can have very different nutritional profiles and you would benefit from getting the best of all worlds by rotation. thanks for a great article, really comprehensive information. What a great article and I think just as you said superfood should be super for our body. But if you are like me you just don’t get enough fruits in your diet so green super food would be essential to take. Anything that will help lower blood pressure and cholesterol together should be enough reason for it to be put into our bodies. Hi Fred, yes that’s the great thing about superfood powders, you can take them easily everywhere; they are easily transportable, and they don’t go off for a very long time. Fresh veggies start losing their nutrients as soon as they’re picked, and by the time they have hung around supermarkets and then on your shelf at home, they can sometimes be weeks old and have probably lost most of their nutrition. Taking a shot of a green superfood every day will help ensure you always get a good hit of pure organic nutrition, and if you ask me is a much better way to get vitamins than taking a multivitamin supplement. These are ‘real foods’ picked at their best, usually freeze or tumble dried within hours of picking, and then powdered down. It’s pretty much like having the real thing. Also, yes, they are fabulous for lowering blood pressure and cholesterol as you can see from the list of benefits they all have this benefit. I hope this has convinced you enough to start using them as they really can be a great supplement alongside a healthy diet and exercise program. You had me at Anti Aging, Stefanie. But wow, wow, wow… Thanks for this incredibly comprehensive review and especially for sharing your Turmeric tip. My Mom mentioned recently that Turmeric is a brilliant anti Cancer agent, I didn’t realise it was also such a powerful combination with a Green Superfood Powder. Which of these powders do you use? I know you mentioned some powders contain probiotics but I’m not sure I should be taking probiotics every day. Do you agree? Hi Lauren, thanks for the praise of my post, I really appreciate it! Yes turmeric is just so fantastic for many things and I have my whole family on it now. My mum was having memory problems as she was getting older which have got so much better since she has been on the turmeric paste, which stands to reason considering turmeric is now being hailed as a great spice for really lowering your chances of getting dementia/Alzheimer’s Plus, she honestly looks younger than she did last year due to it. In regards to the superfood powder I often alternate and try new things so I’m on the ball about what I think works best, but for me so far it is the Dr.Schulze’s superfood plus powder. I honestly feel so different when I take it every day and my skin is much more glowing too. We sell this in the herbal apothecary where I work and the herbalist gives it to many people as part of their prescription to people with cancer, or in recovery of any kind as it is such an immune system booster. Not to be given to anyone on chemo though, only afterwards – thought I’d better mention that. But I would recommend you try that one first if you are thinking of buying because I know you will see and feel results fast. As for probiotics, no maybe you don’t necessarily need them every day if you are healthy, but it’s hard to comment without knowing somebody’s issues. If you have gut problems, low immunity, and certain other conditions then you may need to take them every day. The doses in the powders aren’t too high and are meant for general health, but it’s worthwhile alternating with and without to see how you feel. Go by how you feel. Thanks for your detailed response Stefanie. I’m going to see if I can find Dr. Schulze’s powder at our local health shop right now. I’m also very keen to try out your turmeric paste recipe as well. Will click on that link first in case I need to get some ingredients while I’m at it. You have done a fantastic sales job. I’m in!! Thanks Lauren, that’s really made me smile because it feels good knowing that I’m helping people to live healthier longer lives. That’s what it’s all about for me. I really hope that you can get hold of the superfood, and if you can’t then I’m pretty sure there will be something similar you can get. And I hope the turmeric paste turns out good for you. I would love to know how you get on with both of these things. That is one very thorough and educating post Stefanie, and in an area where I am for the most part pretty ignorant. Yes I have heard of many of the super food mentioned here, but that’s about it. Although Spirulina is the one supplement I have been using regularly for around 16 months now. And I can honestly say if I dont take it for a week I can feel the difference in myself big time. My body is more lethargic and I get brain fog which will just hang around. When I start back on the spirulina normally within a few hours I can feel myself coming back round to normality. Hi Dan, I’m glad you found the post an education. Most people totally underestimate the power of green super foods; they really are perfect nutrition. I don’t doubt what you say about the spirulina, and since researching for this post I have been a good girl and taken it myself every day as it just seemed so fabulous. And yes, it really does give you a great boost, and also I have noticed how much it has helped to stop my sugar cravings. Hey Stefanie! I am a fan of superfood as I really want to avoid gluten in my meals. I work as a waiter and have realized that if a dish does not contain gluten it is actually much more nourishing than the one that does, and not to forget the side effects if the wrong one is taken for a longer period of time. Amazing article and I loved to read it. Clean and tidy, which made it very easy for me to find what I needed to. Thank you for sharing it with us! My question is: Are any of them restricted to pregnant women? Hi Heku, yes you are right, eating gluten can be really bad for some people more than others. I usually steer clear from it, but do on occasion have some without any bother. In answer to your question about superfoods in pregnancy then I would say in most cased it would be fine and absolutely advantageous if anything. I wouldn’t recommend anything with guarana, green tea, or coffee bean extract (or any other caffeine based stimulants for that matter so make sure you look at ingredients thoroughly). As green superfood powders are so packed with life giving nutrients most would be great for pregnant mummy’s. I know that spirulina and chlorella are particularly good as they are high in iron which can sometimes be low during pregnancy. And also great for breast-feeding mother too! I have been looking at green superfood powders to supplement with but I wanted one with protein in it. I see a couple on here with protein in them. Would the source of protein in them be a good source of protein for building muscle? Hi Travis, yes the protein in green superfood is highly bio-available in the body but the problem is you would have to consume an awful lot of it to get high enough amounts to make a big difference. Luckily you asked a great question because I have just done a post also on protein powders and many of these do have everything you are looking for; a high source of protein AND green superfoods. You really should check t out as there are so many brilliant products on the market now! Great article! Very interesting and has a lot of information. I also believe in healthy eating and living. I must say am very much inspired by your article. Thank you for such an educative post! Hi there, that’s great you have been inspired by my article! Superfood powder is amazing and I personally use it every day now, if I don’t I genuinely feel the difference in my mood and energy levels. It always blows my mind the power of food on the body and I guess that’s what go me into healthy living in the first place. I just love it. This post contains lots of great stuff! I like the in depth details of each product you have suggested, I’m very interested in following this way of healthy eating, now I just need to bring it down to my favourite product! will be sure to be back on your website to find out more as it comes! Thanks for this. Thanks Kevin, yes do come back as I welcome return visitors always. As for finding a great product you can pretty much rely on all the ones I have listed as being good as I have researched them thoroughly. However, my go to fave is always Dr. Schulze’s superfood, partly because it is much more easily available here in the UK and some of the US brands are more expensive from our end. Great information here. I’ve been a fan of green powders, algae and other superfoods for a long time, but am always struggling to find good products. I find the convenience in a finished blend of some sort just makes it easier for me to stay consistent with my intake. Dr. Schulze’s Plus powder sounds like a great product. I will definitely try this out. And of course, the spirulina powder… Big fan! Thanks for a great article and a great site! Thanks for the compliment about my site Micheal, it’s much appreciated! Yes, the blends are my favorite’s also as you get a mix of lots of different powders, therefore a wider array of vitamins and minerals. Dr. Schulze’s is one of my favorites too – jeeze does it work… fast. I love it, and can’t go without it for more than a few days but I guess most people who don’t use these things never know the difference. That’s why I rave about them so much. Stefanie another fantastic article and review. I was always skeptical about these super green powders but after reading your article I’m going to give them a try. I need to keep my cholesterol down and I think I will benefit from this and maybe not have to take cholesterol pills. Thank you so much for another great read and look forward to your next one. Hi David, yes some people are skeptical but I don’t know why, maybe some bad press or something. The fact is, pure organic greens picked and freeze dried in their peak condition can surely only be good for you. It’s the purest form of nutrition, and so much better than a synthetic multivitamin or something similar. Plus, I have been using green superfood’s (various kinds) for years and know 100% that when I don’t have them for more than a couple of days I really do notice it, as in less energy and duller skin. If it can do these things for me on the outside then just imagine the good it’s doing on the inside. I honestly think my green superfood addiction has stopped me from aging as I’m 43 and most people think I’m about 30 lol. Anyway, my advice is to get this stuff down you and see for yourself. I like the Garden of Life Raw Energizer. This sounds like the one I need. I do have a question. I do make smoothies quite frequently. I like the fruity flavor, and was wondering….if I add this superfood powder to my smoothie, is it going to change the flavor that I love? Also, will it make it grainy at all, kind of like a protein shake? Sometimes the green powders can taint your smoothies with a different taste, but this all depends upon what else you have in there. For instance, if you have some other strong flavours going on then you may not notice it. But sometimes the green powders can taste quite nice depending on what they are mixed with already. To be honest, I don’t add my superfood powders to my smoothies for the simple fact that I don’t particularly like the taste of most of them, and if I have a smoothie then I want to enjoy it. I just add a little water or juice and down it like a shot to get it over with. They’re not really supposed to taste good, they’re just for nutrition; and I find that the worse they taste, the more potent and healthier they are. But I guess that’s just life hey ha ha! Hello Stefanie, fantastic blog post once again. You really did catch me with the green superfood stuff, especially the Genesis powder. And no wonder you look young in your pictures! Thanks. Hi Evan, that made me smile; thanks. Yes, I do put down my youthfulness to all the superfoods and green powders I consume every day. Not to mention loads of fresh fruit and veggies – bit of a health freak I am lol. Genesis is a good one for the guys as it contains specific nutrients that men need more than women, so good choice! Thank you so much for this article. I have a few questions. Since, I’m into drinking green smoothies, how is a green powder good for me? It would seem that the nutrients would burn out in the drying process. I wouldn’t mind a powder ’cause somethings I get a bit lazy with the smoothies, so an answer to that question would be great. Hi Lane, I understand your concerns but green powders are more than likely more nutritious than the fresh greens because they are freeze dried as soon as they are harvested which locks in all the nutrients fast. Heat is never used in this process so you have no losage there either. Fresh green can sometimes take many days, even weeks before you buy them, and as soon as something is picked it starts to slowly lose nutrients over time. Hence the reason freeze drying or, just freezing in general, often makes the product more nutritious. Another problem with fresh greens is that, even if they’re organic, most times the soil is so over farmed that it doesn’t have enough of the trace nutrients that our bodies need left in it. Some studies on some farmlands (not all) even say can be up to 90% less than what it was in the 1940’s. Which is why nutrient deficiencies are so rife nowadays. Green superfood powders are usually especially grown in nutrient rich soil for this very reason. However, I’m still a huge fan of eating fresh greens too because they also contain all their fibers and water and are in a more natural form to eat, plus they fill you up more. This is why I do a combination of the two, I always have a shot of the superfood powder, and I always have fresh greens too, either in a smoothie or steamed it dinner, or in salads etc. The thing with the powders that I love is the pure intensity of the nutrition which you can literally feel working. Especially great when you’re sick, in need of energy, or just want to be sure you are getting everything you need. I like the sound of anti aging from the inside. its funny how we work so hard to look younger on the outside instead of working on looking and feeling younger from the inside. Hi Rose, yes it’s just SO true! We will pay thousands sometimes to look younger on the outside with expensive treatments, botox, facelifts etc, but most people don’t think for a minute about their insides. Beauty really does come from within, and I have noticed this on myself time and time again when I load up on pure, whole organic foods, especially green superfoods such as the ones in this post. I swear by them and live by them these days, you should definitely test this for yourself. ANTI INFLAMMATORY – HIGHLY alkaline green superfood powders are full of phytochemicals, and can help alleviate the chronic inflammation that can lead to serious illness and disease. If you have problems with gluten then, yes indeed,you should most definitely be fighting inflammation with alkaline foods. And they don’t come more alkaline than these detoxifying powders that also come with so many other benefits too. Yessss! I love turmeric powder! So effective and did you know it’s also great for alleviating stress and anxiety?! Thanks for the info. Hi there, actually I didn’t know that but it doesn’t surprise me as it seems to have an endless list of benefits. It’s certainly something I eat every day for brain and memory power but here’s another thing to add to the list.